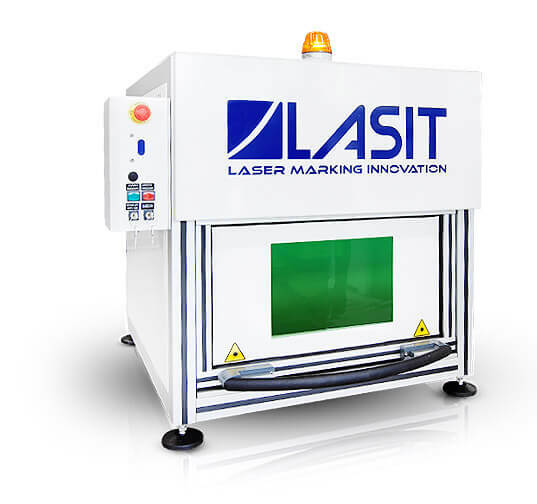 The Minimark is a Class I laser marking machine. The MicroMark is a fully enclosed compact desktop system fully CE and USA CDRH certified. The Minimark comes with a convenient manual door and with viewing glass to allow a clear view of the marking field. 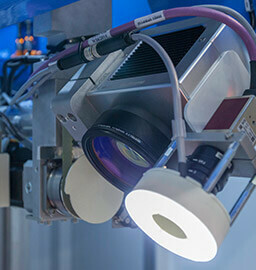 The standard marking area of the machine is Ø140mm but it is possible to install lenses with a different focal length to increase the field from Ø87mm to Ø220mm. 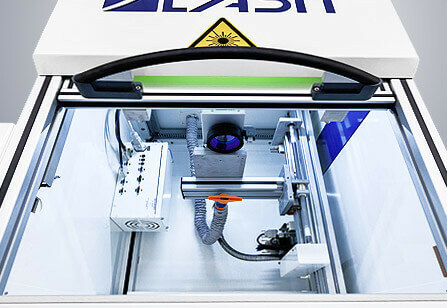 The laser can be moved along the Z axis supporting work pieces up to 200 mm in height. The axis movement can be both manual and motorized with integrated encoder and completely programmable from the PC. 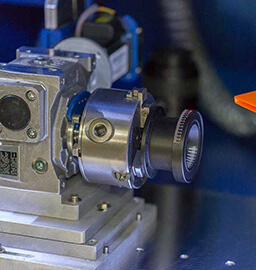 The motorized Z axis offers a Joystick as well which together when used with the SmartFocus can increase productivity by providing quick focusing and alignment of area to be marked. 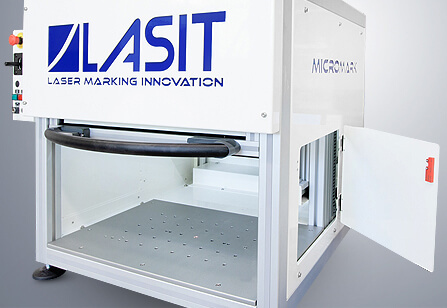 Marking on cylinders has never been easier than with the FlyCAD software combined with the W Axis, fitted on the large work surface of the MiniMark. Axis W has a resolution of 65,536 steps/turn and the mechanics are so precise that there is no noticeable radial play. This is key in obtaining accurate markings that seamlessly blend the various components of the design. 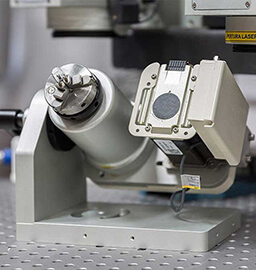 In the Z motorized axis version, positioning is greatly enhanced thanks to the option of using the Joystick, which becomes an essential tool when combined with the SmartFocus system. 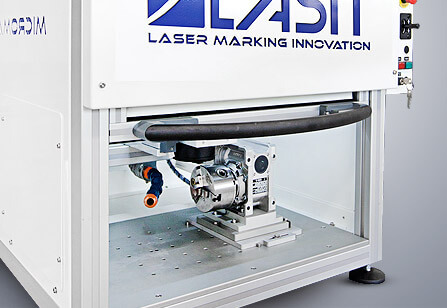 This allows the operator to quickly find (on both flat and geometrically complex surfaces with difficult curves or angles) the ideal position for optimal laser marking. Lateral doors are optional and allow you to mark even longer details that span beyond the maximum length of the marking chamber. The inspection window allows a clear and comfortable view of the marking area.